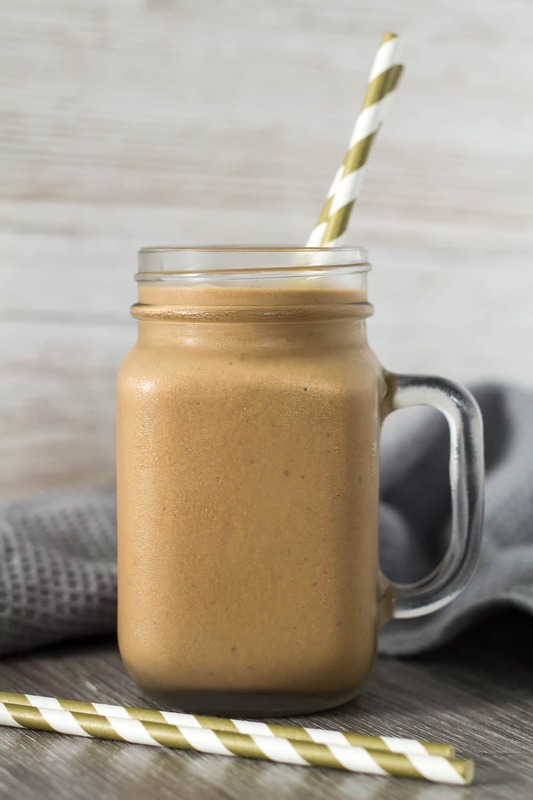 Perfect Coffee Milkshake – This milkshake is deliciously thick, loaded with flavour, and is made with only 4 simple ingredients. 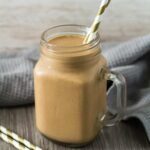 The BEST coffee milkshake you’ll ever try! What if I told you that you’re only four simple ingredients away from the best coffee milkshake you’ll ever make? Well, in my opinion anyway. This milkshake is thick, big on flavour, made from 4 simple ingredients (one of them being ice cream! ), and will only take 5 – 10 minutes of your time. Milk: Use any kind you like. Instant coffee granules: Use your favourite coffee. Flavour is everything in this recipe! Drinking cocoa powder: Again, your favourite drinking cocoa. Vanilla ice cream: You’ll need about 4 – 5 big scoops OR 1 and 1/2 cups (220g). 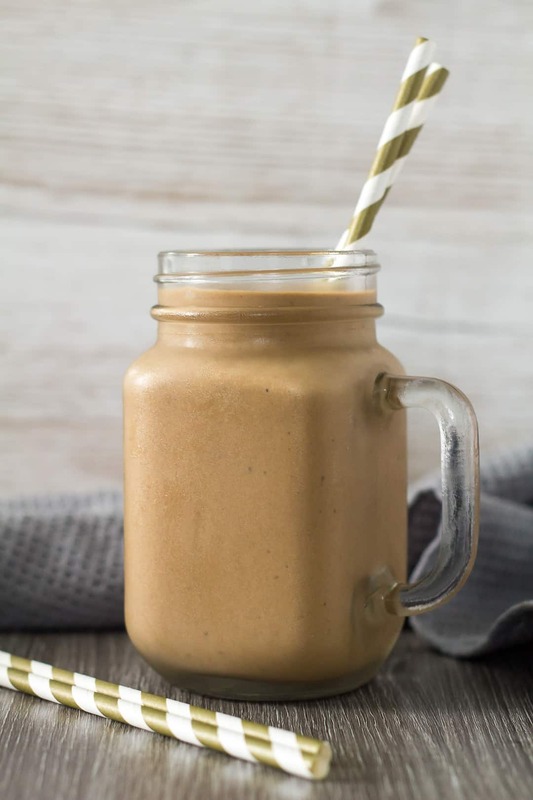 To make this milkshake, simply add all of the ingredients to a blender or food processor, and blend until smooth and combined. Pour into one big glass, or two small glasses. Serve immediately. How thick is this coffee milkshake? Pretty thick, but not too much that you can’t sip it through a straw. It’s just right! If you’d like a thinner milkshake, simply added a little more milk. Can I keep this milkshake in the fridge overnight? I wouldn’t recommend it. It’s best to make it as soon as you need it, and serve immediately. 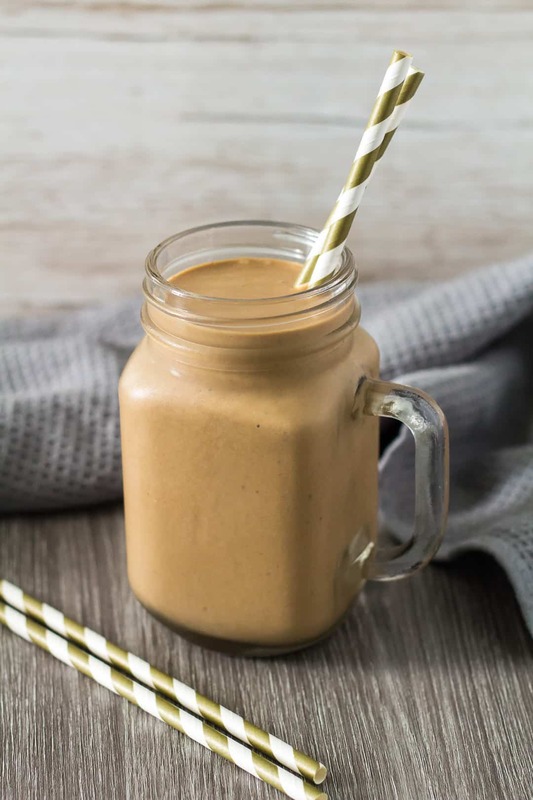 This milkshake is deliciously thick, loaded with flavour, and is made with only 4 simple ingredients. 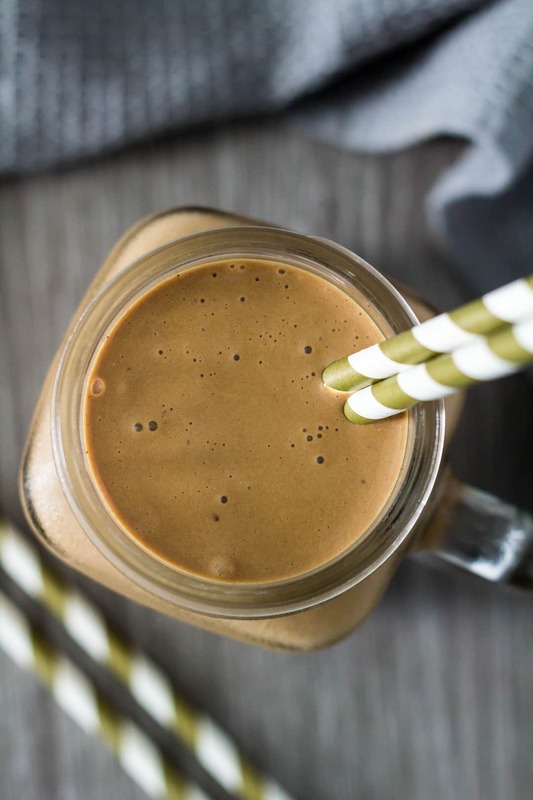 The BEST coffee milkshake you'll ever try! Add the milk, coffee, cocoa powder, and ice cream to a blender or food processor, and blend until smooth and combined. The calories are for 1 large drink, and are an estimate only. I now feel like I have all the info I need to make this perfect shake! My husband loves to try out different thick shakes, and he’ll love that this one has so much ice cream in it. I dare say he’ll pop a scoop of ice cream on the top too. What an exciting and fun way to enjoy coffee. It sounds so good and I love coffee flavoured anything! Marshaaa! This looks amazing! Just like all your amazing recipes.